Also older children are more than welcome for a session called Children photography session older than 1 year old. The playfulness and naughtiness of children I love to capture in a personal, fun and creative way. Children to do not pose of sit still in front of my camera. They are allowed to play; to run and to be themselves, while I chaise them for nice pictures of them. Weather this is indoors or outdoors (which I prefer) in a forest, a beach or your own backyard, it will be a session with lots of fun and laughters. Ofcaurse there will be a moment I will ask them to stand still and look backward at me or blow a dandelion in front of the camera, but these moments are just seconds.. When they are small enough and trust to me enough, I can even give them a tickle session to get some big smile images. I always look careful how children react on me and adjust my way of photography according to it. Playing Peak-a-boo behind a tree, or their parents legs, is always a fun game to start with so they get curios about me and start to ‘look’ for me.. Beach toys, a nice prop like an airplane; a bike or car or even pets are more than welcome to join the photo session! Pets.. oh yes!! 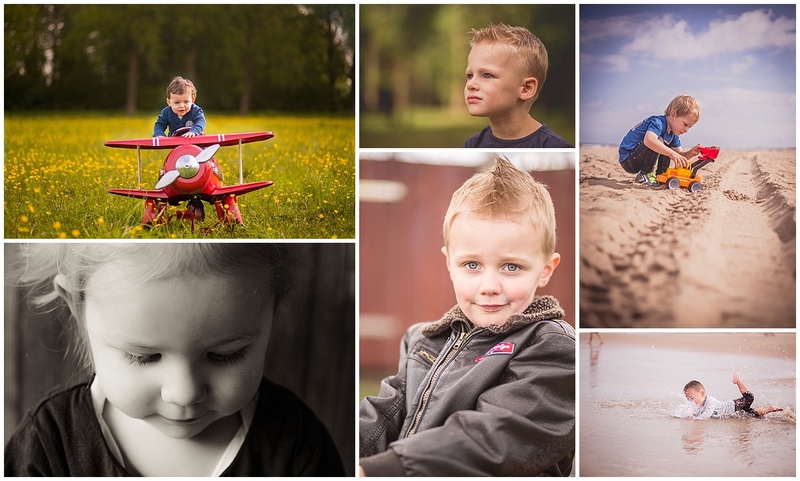 Because that will even personalise the images even more.. a memory for life for you and your children!